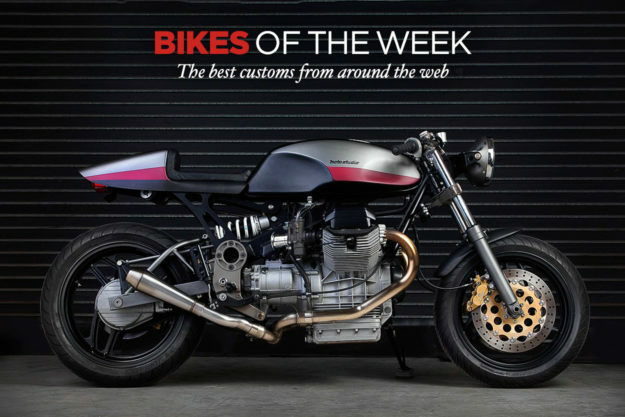 Eleven hundred cc of Moto Guzzi muscle from Florida, a cafe’d Ducati Hypermotard from Germany, and proof from Jakarta that the Kawasaki ER6n can be turned into a good looking bike. We’re going global this week. Honda CB550 by Ripple Rock Racers My local shop, Town Moto in Toronto, has a tradition of featuring a different motorcycle in their front window every month. 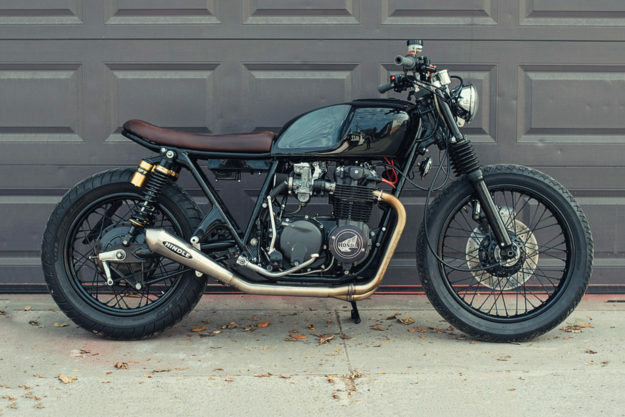 Sometimes it’s a new bike, like Triumph’s Thruxton R or a Husky Supermoto, and sometimes it’s a custom—like this very tidy brat/cafe hybrid from Winnipeg’s Ripple Rock Racers. 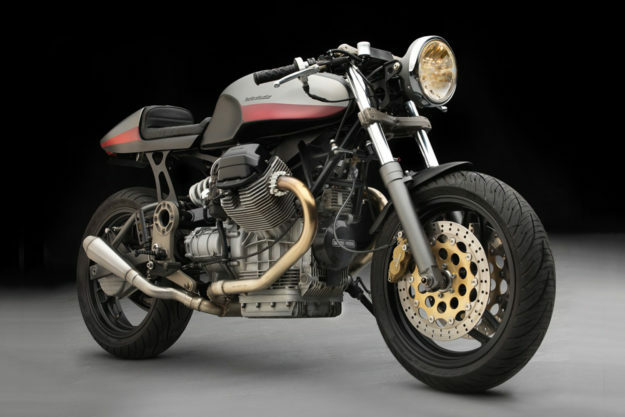 Moto Guzzi 1100 Sport by Moto-Studio In stock form, the 1100 Sport was a big brute of a motorcycle. With upwards of 90 hp on tap from its iconic transverse V-Twin engine, it was no slouch either. However, it was a touch portly—and muscling one through the twisties is said to have been tricky at times. But that’s nothing that a 40 kilo diet won’t help. Which is exactly what Bruce McQuiston and his team at Miami, Florida based Moto-Studio thought. 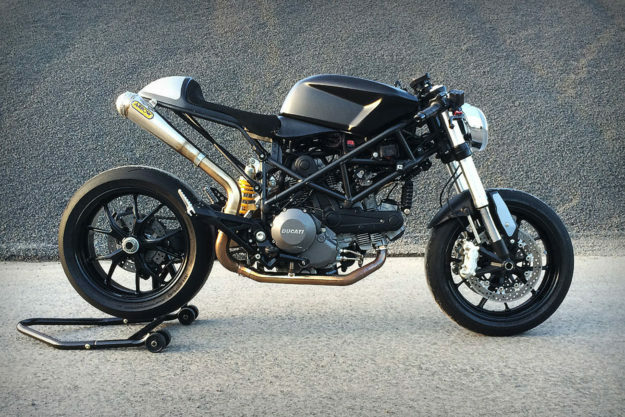 Ducati Hypermotard by Garage 667 It’s kind of hard to believe that Pierre Terblanche’s Hypermotard is a decade old. The Italian SuMo on steroids continues to set a standard for hooligan machines—while maintaining a characteristic ‘odd-Duc’ vibe. 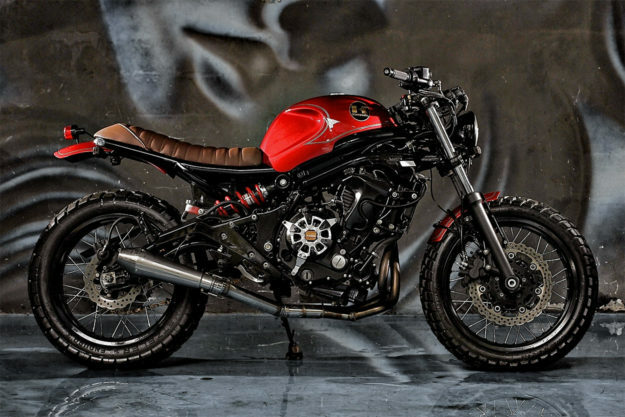 Kawasaki ER6n by Studio Motor The Jakarta, Indonesia builders are no strangers to this series. They’ve been on our radar since the very beginning. And thanks to some impressive skills and the courage to take on unconventional donors, we’re always pretty chuffed when something new rolls out. This time around they’ve scrambled Kawi’s naked Ninja and man, does it look the business. 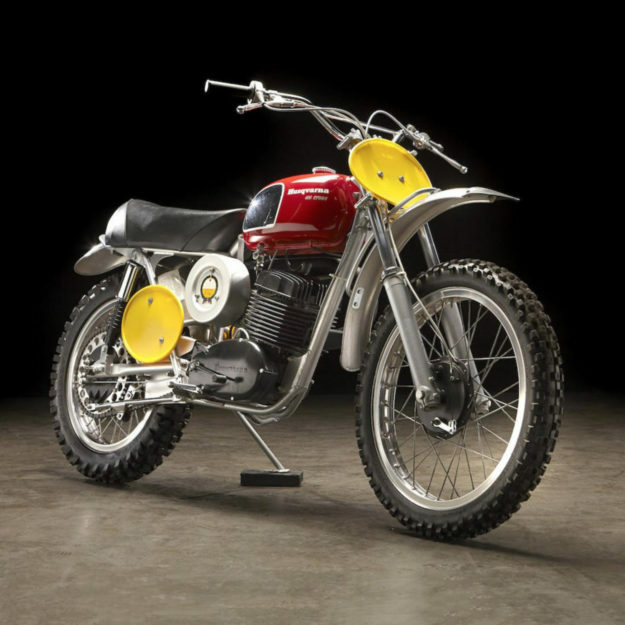 James Garner’s 1970 Husqvarna 400 Cross When I was a wee lad, my grandfather introduced me to one of my all-time heroes of Hollywood. As Jim Rockford, James Garner was exactly the brand of cool my developing mind needed—and spurred me to seek out works like The Great Escape. Garner was already a four-wheeled racer, but it was during his time filming with Capt. Virgil Hilts that he developed a love for knees in the breeze.